A look at the 14th green from halfway down the fairway. 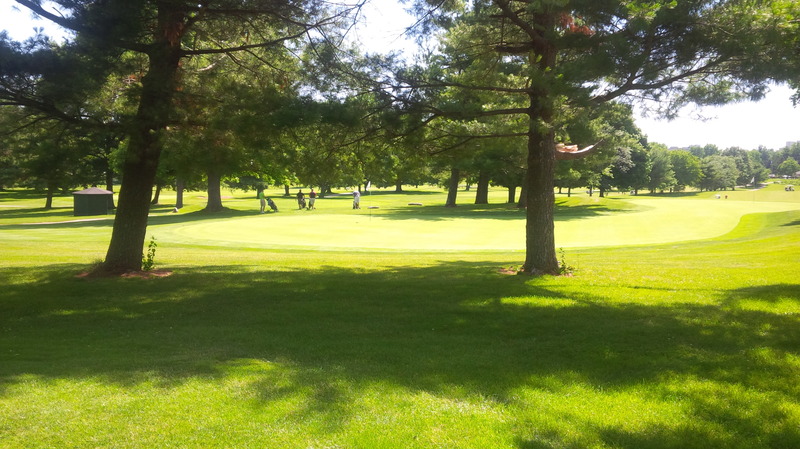 Saturday was my second outing with the Picadome Men’s Golf Association. On that perfect June morning, I arrived at the course desperately hoping to play better and have more fun than in the Skins Game weeks earlier. Despite only bettering my score by a few strokes, I am glad that I can say I accomplished both objectives. I was less nervous and anxious, and thereby able to control my emotions much better than my first tournament outing. The bright sunshine on a cool cloudless morning was a big improvement over the permanent drizzle through which we played the Skins Game. 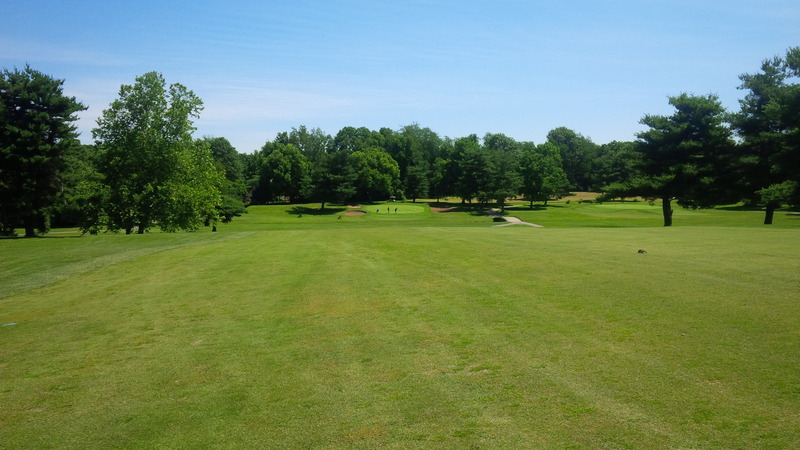 Plus, several weeks of warmer temperatures had done wonders for the course conditions. That bright green shine of the 8th green means summer is finally here. The Bermuda grass fairways have started filling in nicely, though plenty of dead spots remain and continued ground under repair from the brutal winter and sewer line work. The course is starting to look and play as intended, which combined with warmer temperatures, really makes for a great place to play a round. The money-pool for the PMGA U.S. Open tournament consisted of the golfer’s net score combined with the score of the selected professional’s score in Saturday’s third round of the U.S. Open at Pinehurst. The tournament was broken into three flights, with my almost 11 handicap index placing me in the middle tier. I selected Dustin Johnson as my 3rd round PGA partner, and his even-par 70 was the best of any pro selected by anyone in my flight. I hit three different trees on my way to a crowd pleasing double-bogey on the par 5 10th hole. So, unfortunately, it was my own game that placed me in the middle of the pack of my flight. Nonetheless, I was hit my drives and my irons significantly better than I had for any round since playing the Kapalua Plantation course more than a month ago. Like so many other days, it was my short game, particularly my putting, that let me down Saturday. By let me down, I mean I carded 39 putts on the round. Let that sink in a second (we only played 18 holes for crying out loud). I wish I could blame the course, the pro, or whoever cut the cups Saturday morning. But the truth is that I just chipped and putted really poorly, though there were definitely multiple “Sunday Pin Placements” ruining everyone’s day and slowing play to a crawl. There’s nothing really intimidating about the downhill, par 3 12th hole, but hitting the green proved elusive to our entire foursome. I’m okay that my short game cost me on my scorecard. For me, nothing is more frustrating than not being able to get off the tee box multiple times during a round. That wasn’t the case during this tournament, so even though I wasn’t scoring, I was able to enjoy myself and the camaraderie of the three guys I met and played with Saturday. 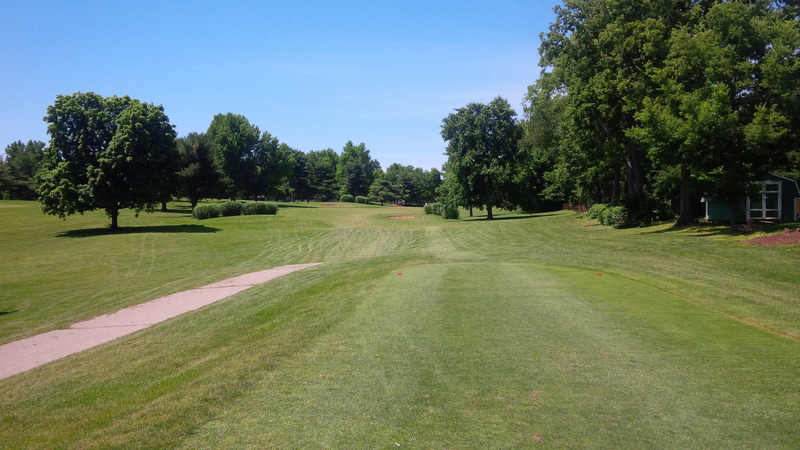 Sure, I pushed and pulled a few drives out of position, but for the most part, each tee shot was playable. The few times I was in the trees or in the clover-filled rough, being out of position exacted a high price, which was unusual for me. 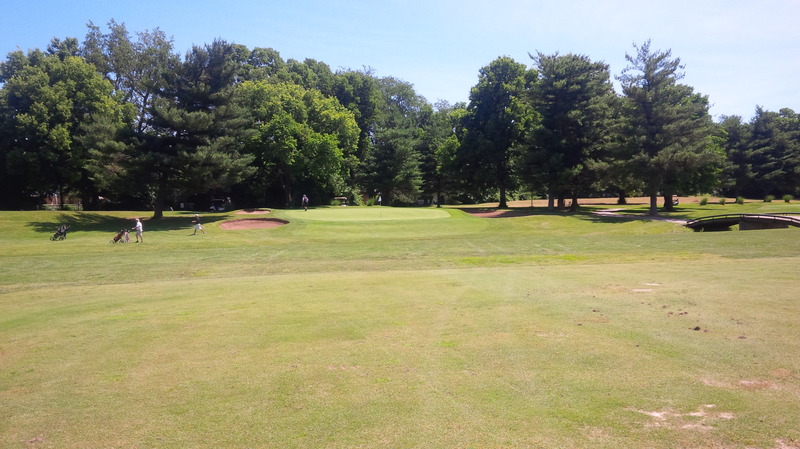 Customarily, I am pretty good from beneath Picadome’s tall pines and ancient hardwoods because I spend so much time getting out of trouble, but on Saturday, I repeatedly tried to do too much with a poor lie, or line, or both, and it cost me. It’s not fancy, but when the grass turns green and really starts growing, the Gay Brewer Jr. Course at Picadome really is a great little course. So I finished out of the money. Big deal. I definitely ate more at the club-provided lunch afterwards than the $10 entry fee justified. And I walked the course this time out, and I always feel better about the hours spent at the course if I get some actual exercise. And I learned a lot during the tournament. First and foremost, I need to work on my putting, both technique and reading the greens. I also learned that if I’m going to get any better, I should probably stop accepting “gimmes” from my friends and go through the exercise of holing out putts with the pressure of someone else watching. I learned that playing in a tournament can be a lot of fun, even if I don’t win, though I know I need to work on my focus and killer instinct if I ever have any hope of winning a tournament or finishing in the money. 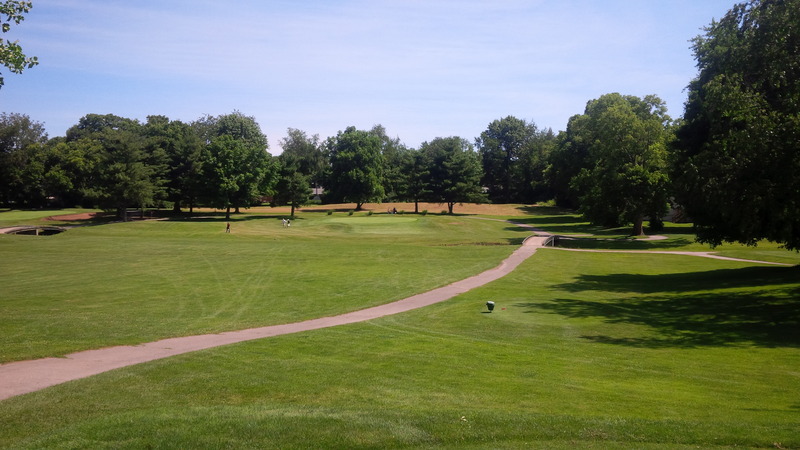 This site at the end of the 14th fairway was the site of my biggest victory, winning the $1.00 proxy by being the only golfer to actually hit the green. Who said I wasn’t clutch? The day wasn’t a total loss, monetarily, either. All four members of my group bombed our drives straight down the 14th fairway, leaving each of us only 70-80 yards in. So we agreed to a whole-group wager of $1.00 proxy, or closest to the hole on the green, from our substantially equidistant lies. I’m incredibly proud of the $3.00 I won from my compatriots. 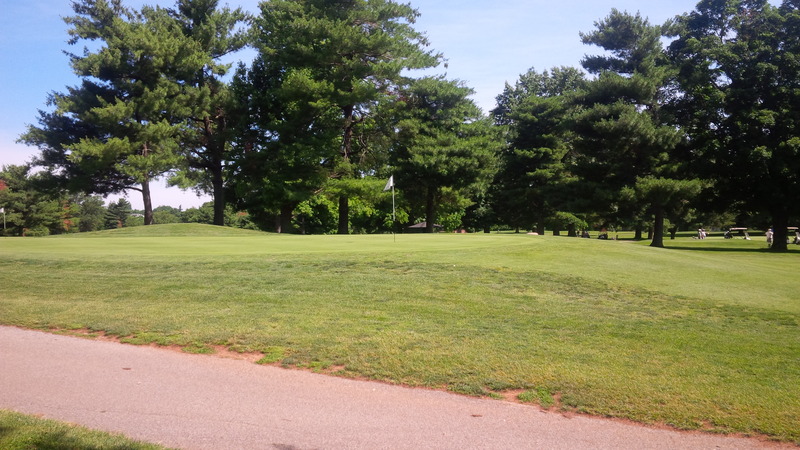 I’m even prouder that I was able to two-putt from way above the hole to make my par. Money won really is better than money earned. ← Is walking the golf course on its way back in style? You sound like you did have fun. The lessons you learned are some that I still learn…not a very good student I guess. It was great to hear about your adventure. By the way, Dustin Johnson was a great choice.